Jailbreaking your device may have got you the best of apps but after reading this you will know what a high price you could have to pay for the jailbreak. A malware named ‘KeyRaider’ has supposedly stolen user credentials of approximately 225K iPhone users. It has been given this name as it raids victims’ username and passwords, private keys and certificates. Figures say that KeyRaider malware has affected a large number of users in China and worldwide 17 more countries. Also, the origin of malware is suspected to be in China, as said in investigations conducted by Palo Alto Networks for reporting any suspicious tweaks on iPhones. Malware is targeting jailbroken phones and when in action, it captures Apple ID of the users and make transactions using it. The researchers say that it is spreading with the help of Cydia app repositories that are popular among the jailbreakers for eliminating the security of the device and installing third party apps. 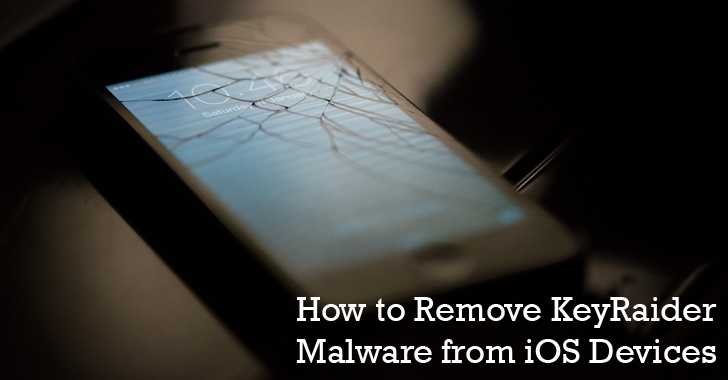 “The malware hooks system processes through MobileSubstrate, and steals Apple account usernames, passwords, and device GUID by intercepting iTunes traffic on the device." Also, the Palo Alto Networks team has said that this is the biggest ever breach that has happened involving Apple accounts. If any dylib file contains any one of these strings, delete it and remove the plist file with the same filename, and then reboot your iOS device. The solution is produced by WeipTech, a Weiphone Tech Team; a technical group startup consisting of users from Weiphone, which is one of the largest Apple fans websites in China. You can follow the research guide prepared by Palo Alto Networks stating the rogue malware’s capabilities and its mitigation.